Below is a list of compatible hardware that works on Windows 9x systems (and or have suitable drivers) Especially of interest is newer hardware that supports or still supports Win9x. Please start by including hardware you have on your system that you can confirm works with Win9x. I will add the hardware to the list as time allows. -------------------------------------------------------------------------------------------------------------------------------------------------- ================================================================================= PROCESSORS: Win9x DOES NOT support HyperThreading (please disable in the BIOS), Multiple Processors or MultiCore processors. Win98/Me may run on MultiCore processors but only 1 core will be utilised. Windows 95 has timing problems with CPU speeds higher than 350 Mhz. Windows 98 FE (and consequently Win95) cannot exceed CPU speeds higher than 2.2 Ghz (Note: This can be fixed. Read this thread: ) Supported Processors: Intel: 486 DX2-66 + Pentium Pentium Pro Pentium MMX Pentium 2 Pentium 2 Xeon Pentium 3 Pentium 3 Xeon Pentium 4 Xeon (Pentium 4) Pentium 4 Extreme Edition ... (3.73 GHz is the fastest) Pentium D ... (Only a Single Core will be utilised) Pentium Dual-Core ... (Only a Single Core will be utilised) Core 2 Duo ... (Only a Single Core will be utilised) Core 2 Quad ... (Only a Single Core will be utilised) Dual-Core Xeon ... (Only a Single Core will be utilised) Quad-Core Xeon ... (Only a Single Core will be utilised) Celeron Celeron D AMD: 486 586 K5 K6 Athlon Duron Semperon Athlon XP Opteron Athlon 64 (FX-57 2.8 GHz is the fastest) Turion 64 HARD DISKS: Windows 95 supports FAT16. Windows 95B / 98 / 98SE / Me supports FAT16 and FAT32 Win95 can NOT support hard drives bigger than 32 gig FAT16 supports drive partitions up to 2 GB. Win9x's FAT32 can be used on any hard drive larger than 512MB and supports hard disks up to 137 GB in size. To use bigger hard disks the system requires a system update. (See Below) Windows 9x natively supports ATA IDE Hard Disk Drives. SCSI, SATA and RAID disk drives are supported through third party drivers. Large Hard Disk Support Windows 98 and Me do not natively support 48-bit LBA drives larger than 137 GB. This means: - If you have a hard disk larger than 137GB... and Windows trys to save data onto that disk past the 137GB barrier, data corruption (loss of files) is likely to occur. - It doesn't matter if you partition the hard disk into smaller partitions, all partitions above the hard disks physical 137GB barrier will be affected. - If you put a single partition on the hard disk using fdisk or alternative, and its less than 137GB (UNDER 128GB is recommended as safe) you will be fine (Just Don't allocate the remainder of the disk). But if you want to use the rest of the disk you must use a work around. Work Arounds: LLXX's Enable48BitLBA - Implements 48-bit LBA support into Windows 95/98/98SE and ME's default IDE driver. Windows 98 - get the 4.10.2186 driver Windows 98 Second Edition - most users should get the 4.10.2225 driver. If you have a old IBM laptop you may have to get 4.10.2226 Windows Me - get the 4.90.3000 driver - create a primary partition on that drive (smaller than 128GB), using fdisk - install win9x on that partition - install drivers - install the suitable LLXXs patch - fill the rest of the disk with new partitions. (Keep them under 128GB if you still wish to use Scandisk and Defrag) http://www.msfn.org/board/index.php?showtopic=78592 Intel Application Accelerator - Allows users to access the full capacity of hard drives that are larger than 137GB on supported Intel® chipsets with a supported operating system. http://www.intel.com/support/chipsets/iaa/sb/cs-009299.htm Rudolph Loew's 48-bit Patch - The High Capacity Disk Patch Program patches Windows 98/98SE/ME to provide direct support for hard drives larger than 137GB without requiring a controller card. The patch installs support for the 48-Bit LBA addressing mode required for hard drives larger than 137GB. http://rloew1.no-ip.com PCI ATA Controller card - Using a PCI ATA controller card to connect your 48-bit LBA hard drive to the system is the easiest and simplest option. With this option you can partition the hard drive without the need to upgrade the BIOS to support 48-bit LBA if it does not support this technology. 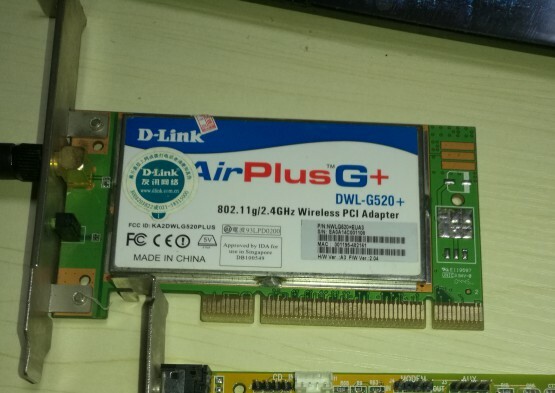 The drivers provided with controller card will provide 48-bit LBA support in Windows 98 or Me. More information on the 48bitLBA --> http://www.48bitlba.com/win98.htm Partition Size Limits The size of individual Partitions are subject to additional limitations due to FileSystem design and Partition management tools. Microsoft specifies a maximum Partition size of 128GB. Third Party Partition Management tools may have other limits. DEFRAG and SCANDISK (in Windows Mode) are limited to less than 136.9GB Some people have reported limits as low as 127GB. DOS, WINDOWS and SCANDISK (in DOS Mode) can handle at least 400GB. WARNING: Diskeeper 10 claims to support Partitions up to 768GB and Windows 98/SE/ME. Tests show that it can corrupt large Partitions. It is recommended that you Partition your Large Hard Drive with 2 or more Partitions so that no single Primary or Logical Partition is larger than 127GB. FDISK can be used to Partition Large Hard Drives but will incorrectly report sizes above 64GB. You will need to enter sizes as Percentages in order to use the full capacity of the Hard Drive. OPTICAL DISK DRIVES: Windows 9x natively supports IDE optical drives without additional drivers. This includes CD, CD-R, CD-RW, DVD, DVD-R, DVD-RW and DVD Dual Layer drives. FLOPPY DISK DRIVES Windows 9x natively supports internal Floppy Disk Drives.